Who can help me build a custom keyboard with custom keymapping like the frosty snow? Every key is accounted for. Bought two set currently only used the red one. If you haven't tried THICK keycap (they feel amazing), this is the cheapest thick PBT keycap on the market. $35 + shipping ($4 first class, $6 priority w/ tracking). paypal gift or add 4.5% fees. International just add the shipping difference. 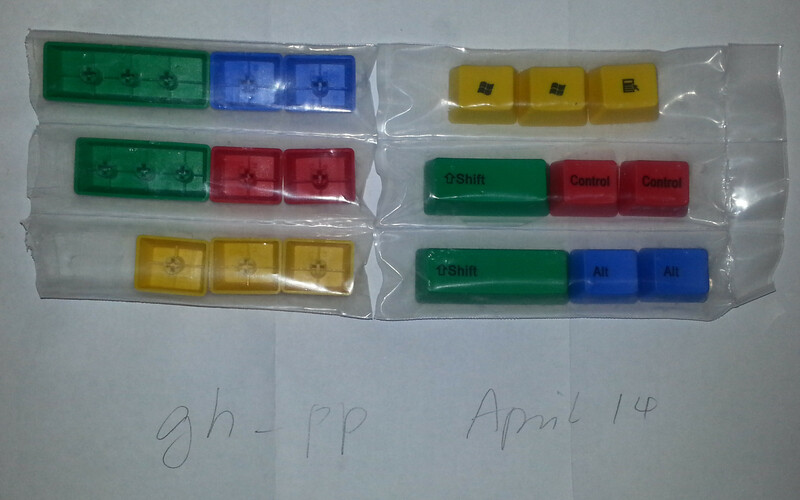 I'm selling all the keys below (spacebars are 7x) in the 1st pic, preferably all together. GMK 7x spacebar Orange, Magenta, Black. ($4 first class, $6 priority w/ tracking). paypal gift or add 4.5% fees. Buy both for $22 + shipping. Keycaps in excellent condition, no shine. Around a month of actual usage. Been looking for a set of blank white PBTs for a little while. PMed! First off I would like to congratulate you on reaching the 60 post limit. I can vouch for those POM Blacks. I bought the same set and they feel awesome!!! The Spacebar is universal and the textures on them are on par if not better than PBT caps. If those blank whites don't sell I'll take them. GLWS!!! I'd like to buy the black blanks . PM'd. Someone pm'ed me asking if I will sell the keyboard and the keycaps separately. Yes, I can do that. 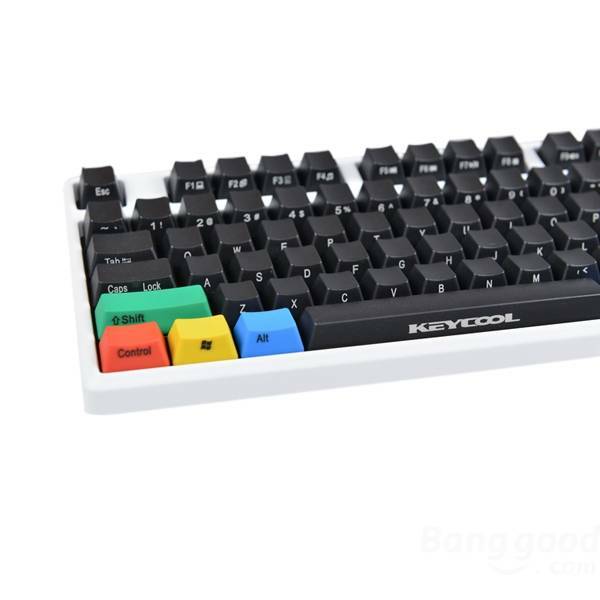 I will part with the keycaps if someone already bought the keyboard. It baffles me that this is still for sale. It's not. I'm buying it. I personally like the Cherry G80-3000 PBT white. So if you are looking for a mx-clear board with excellent original cherry PBT caps, here it is. 2 weeks of use (testing) during my trip in asia, haven't touched it since I got back. updated 1st post with a current pic taken today w/ original packaging. 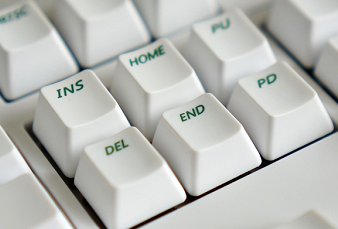 Either ergo-clear, brown or clear switches. First off, I'm not sure there are any 1.25 1.25 1.25 6.25 1.25 1.25 1.25 1.25 bottom row KMAC boards. I was under the impression that even the winkey ones have 1x windows mods and a 7x spacebar. Leewei has an unassembled one for sale that I absolutely shouldn't indulge in myself. If you want to start there and source the rest of your parts, (switches, stabilizers, lube) I can help you assemble it. 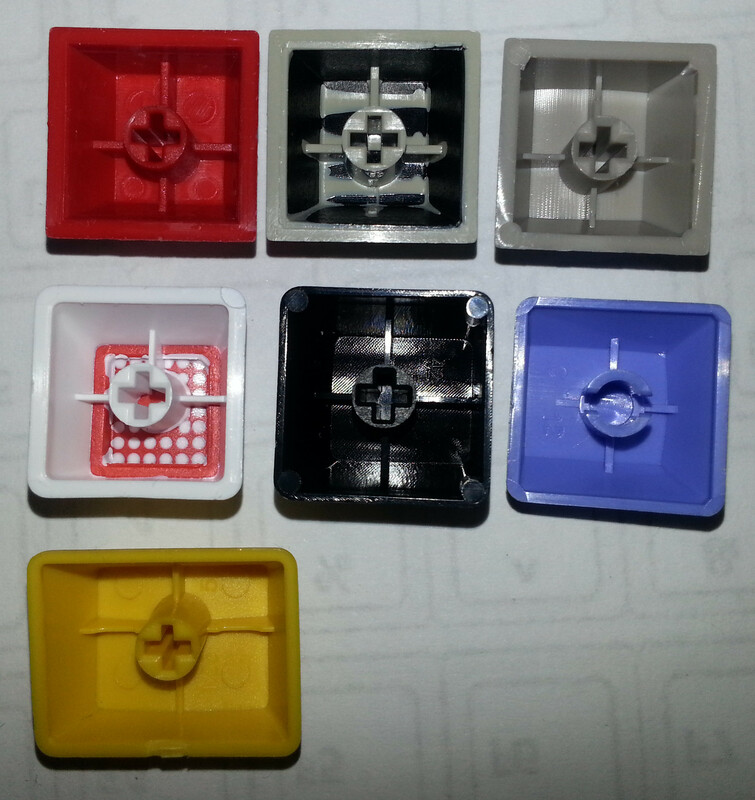 Does KMAC's plate allow opening up the switches without desoldering? If yes I might get feng's and then change the switches. I really really hate desoldering/soldering. So you live in santa clara? How much would it cost to have it assembled if I sourced the other parts? You can either pm or reply here, thanks! You can't open the switches on a KMAC without desoldering. Also, be mindful that Leewei's KMAC probably doesn't come with stabilzers. btw, how to use the spoiler tag? I wrap it around my images and it still shows as is. 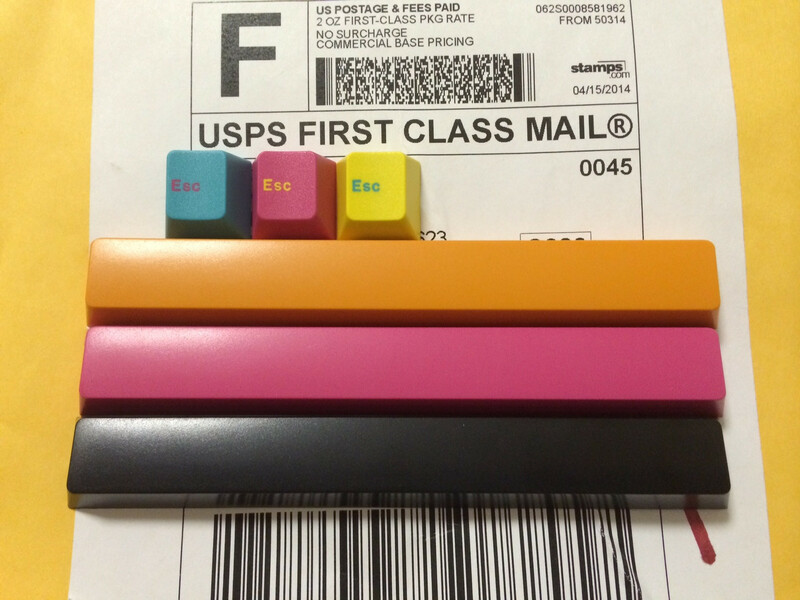 Selling all GMK 7x spacebar Black Orange Magenta, GMK Esc Magenta, Yellow, Cyan straight up. No idea what to ask for since no one are willing to part with them. Please add prices to your listed sale items as well as a photograph with your and and date. Thank you. 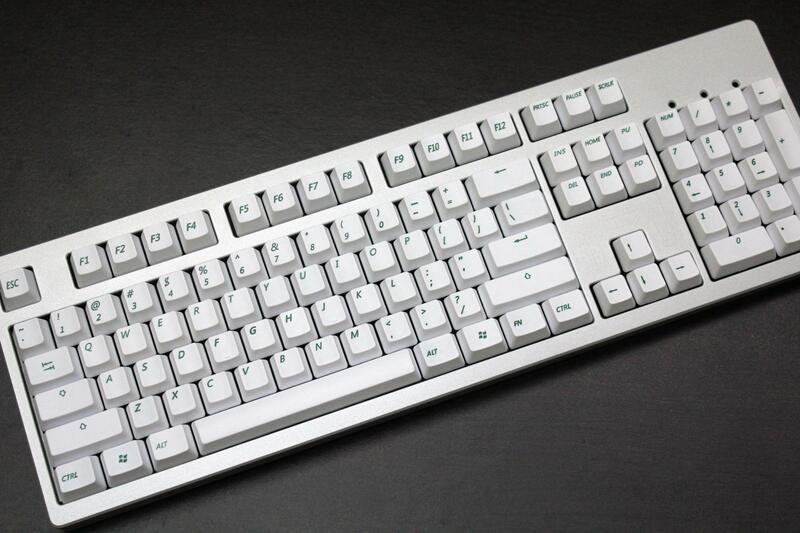 I need a Beige color, Cherry profile caplock key. I know some of you bought crapbag from SP, if you have extra caplock key, please let me know! I need one to fix imsto's set. Preferably thick keycap. check 1st post for pics. Haven't had time to frequent this forum for a while. Now that I got my GMK + Mx-brown TLK, I found that I don't need to crave for new keycaps / keyboards. 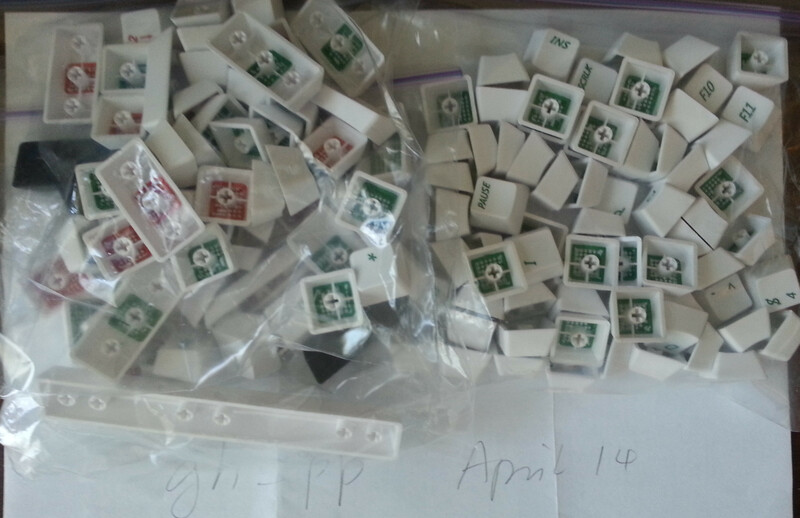 Reducing the price for everything, whoever wants a set of solid PBT keycap get on them! You're selling at an excellent price. I wish you had something to sell that I want to buy! I'll take the PBT RGBY and red set at that price. PM me where to send the monies!